As a business owner, maintaining your property can be time consuming. When a snow storm hits, the snow has to be cleared quickly so customers and employees can safely access the parking lot, steps, and walkways. 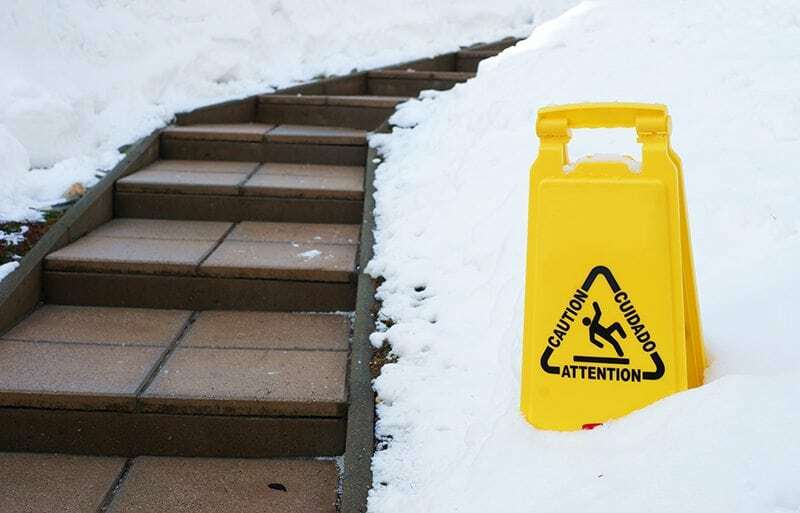 Just one slip on a snow-filled icy sidewalk can send a lot of messy (and expensive) liability issues your way. It’s wise to consider a snow removal service. Although it may be tempting to tackle snow removal on your own, hiring a commercial snow removal service has major benefits. Professional commercial snow removal services reduce risk and liability related to snow and ice accidents. Lawsuits against businesses are at an all-time high. Reducing insurance liability keeps your business “in the clear” of any expensive lawsuits you may otherwise encounter if you do not properly clear your property. Safety is a top priority. Proper equipment and experienced staff know how to handle your snow safely, quickly and efficiently. You don’t have to worry about buying any of your own equipment, we take care of it all. Rest assured knowing the plowing will be done correctly, and won’t cause any surface damage to your property. Pricing comes in affordable snow management packages. Comprehensive packages range from seasonal, per inch, or per hour for one site or many sites. Pricing is set based on your company’s needs and is completely customizable. Most commercial properties that have tried to handle their own snow removal in the past find that it is cheaper to hire professionals rather than spend money on the upkeep of buying your own equipment, salt, shovels, etc. 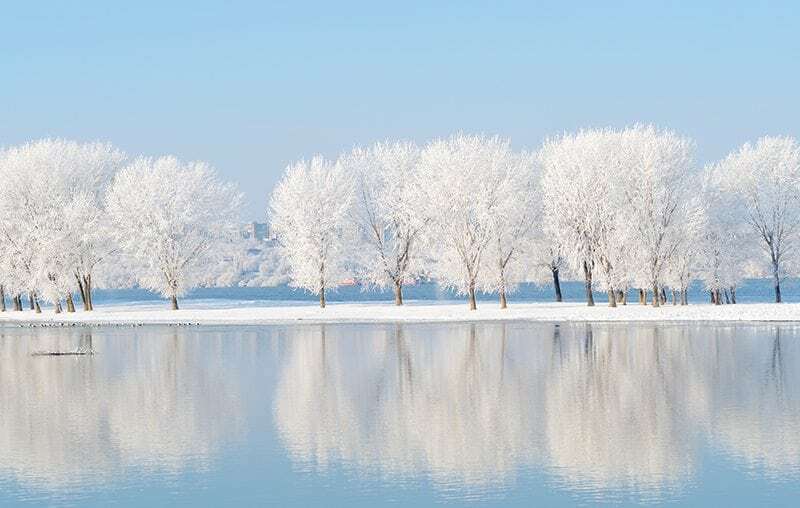 Wake up the morning after an overnight snow storm calm and relaxed knowing your property will be cleared of snow and ice in a prompt and professional way when you arrive. 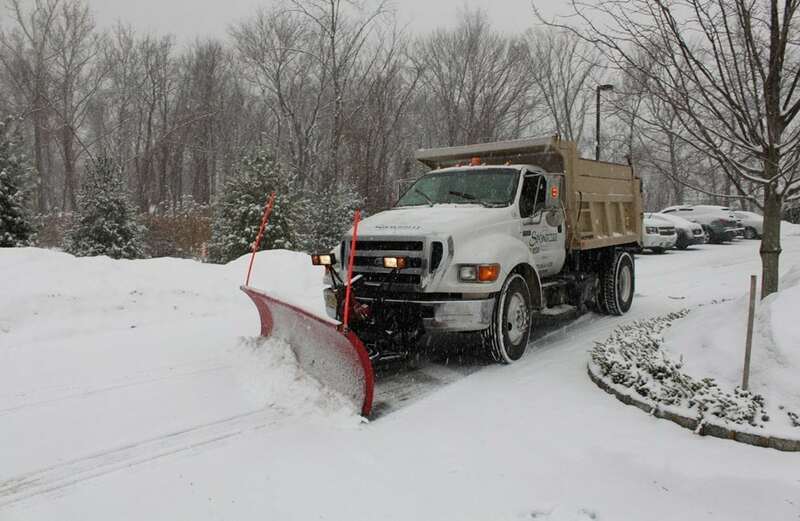 A commercial snow removal company is always prepared to make sure your business can stay fully operational even during the harshest of winters. 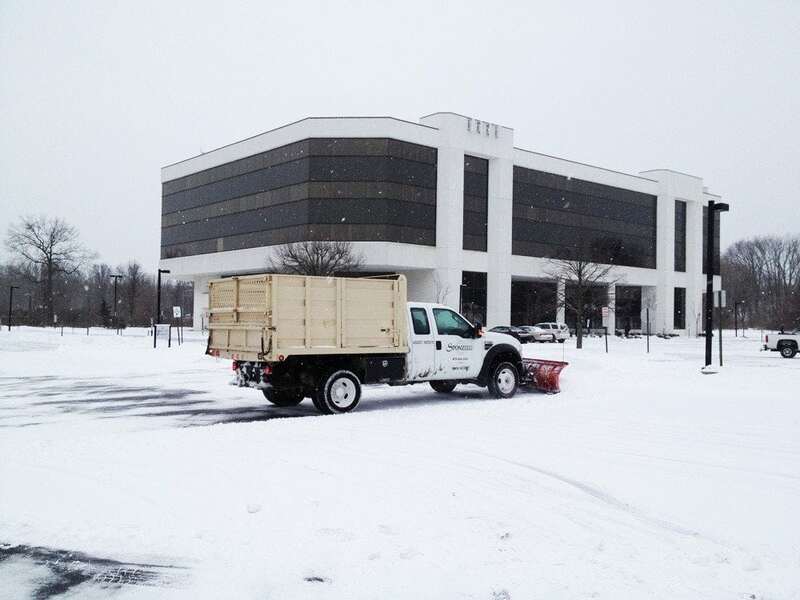 Hiring a commercial snow removal company is a must in the winter months! Visit the experts at Sponzilli Landscape Group today to relieve this winter burden.